Ailsa over at Where’s My Backpack has Green as the weekly travel theme. With warming temperatures and the moisture in the rock and ground and hidden from the sun, the moss is very green and it is sending out spores for propagation. Often there is a display of shades of green among the different moss plants clinging to the rock. And…always allow your spirit to be in awe by the beauty of nature. 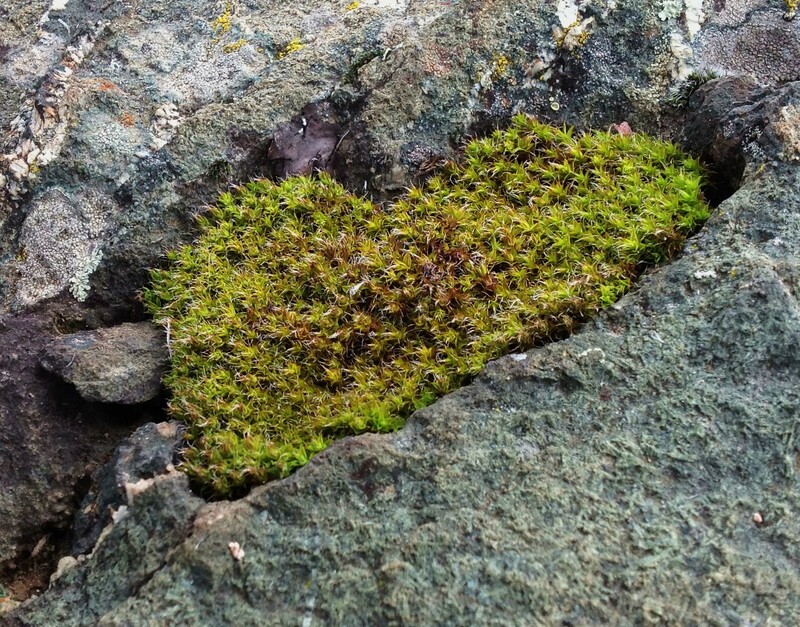 This carpet of moss was sending out love to the birds, the mountain breeze and me. In awe! An unlikely spot for moss and lichen to grow. This entry was posted in Challenges, Creativity, Finding Joy, Fun, Hiking, ipad, Out My Backdoor, Phonegraphy, Photography, Play and tagged BC, Challenge, East Kootenays, happiness, hiking, joy, Nature, Phoneography, Photography, postaday, Travel Theme, Where's My Backpack. Bookmark the permalink.